Escape from the hectic city life in this beautiful country pool home on 1.36 acres. 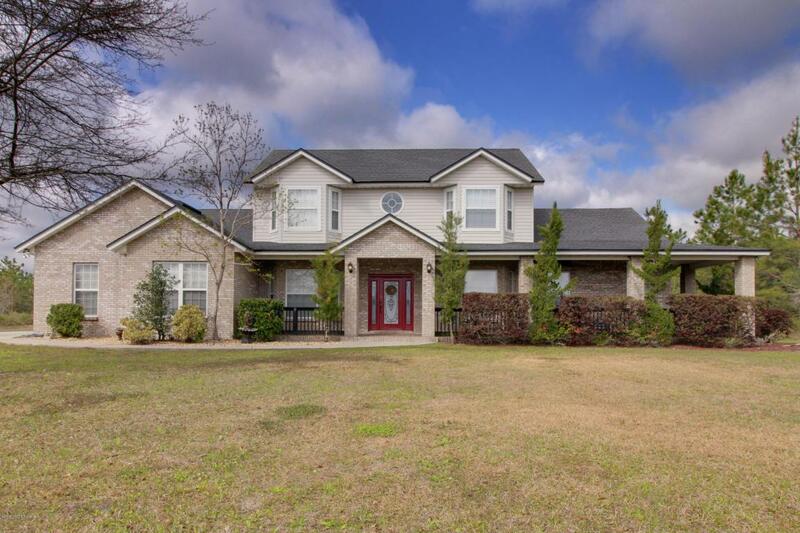 This impressive 5 bedroom/ 3.5 bath home boasts a stunning two story entry, expansive front and side porches, large family room with vaulted ceiling and wet bar, sitting room/office off of master suite, large country kitchen with loads of storage and much more! Beautiful moldings throughout the home, new carpet, central vac, hardwood floors upstairs, two fireplaces with gas logs and plantation shutters make this home a must see! The gorgeous pool/spa area has a gas hookup ready for your grill and outlets under the eaves connecting to a single switch to make outdoor decorating easy. Located a few minutes outside of Hilliard, this spacious home is located within minutes of excellent schools and US 1.